Known in his day as 'The King of Jazz' and the inventor of 'symphonic jazz', the majority of Whiteman's discs are not strictly speaking jazz, but range from syncopated dance music to the ramblings of a giant orchestra that was too large and cumbersome to swing. Nevertheless, jazz owes this former symphonic violinist a considerable debt. He was one of the founders of the idea of arranging for big band; he commissioned the evergreen 'Rhapsody in Blue' from George Gershwin, and not only premiered it but filmed it; and he employed dozens of important soloists from Bix Beiderbecke and Jack Teagarden to Eddie Lang and Joe Venuti. He organised his first jazz band in San Francisco at the end of World War One, and by 1920 had brought the group to New York, using the idea of a sax section (which had been pioneered by West Coast drummer Art Hickman) and compositions by arranger Ferde Grofe. 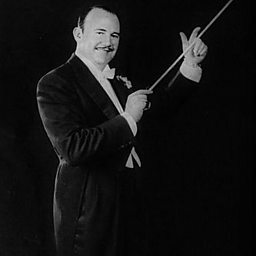 His disc of Whispering sold exceptionally, and by the mid 1920s, Whiteman was internationally famous as a bandleader. 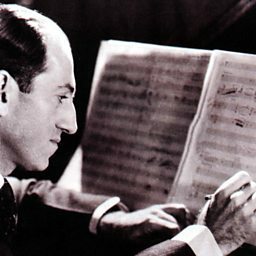 Gershwin's Rhapsody was written for a 1924 concert, and subsequently Whiteman went on to commission much more new writing, by such composers as Duke Ellington. The band's vocal trio included the young Bing Crosby, whose career was kick-started by his stint with Pops, as Whiteman was affectionately known. The orchestra recorded and broadcast prolifically, made numerous tours inside and outside the USA, and also worked as the pit band in Broadway theatres. By the 1950s, Whiteman had decided to concentrate on broadcasting, and led a house band for the ABC network.